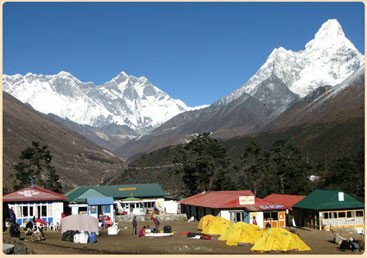 Everest Foothill Trek is ideal for those who want to experience the challenge of trekking among the world’s highest mountains with additional comforts. 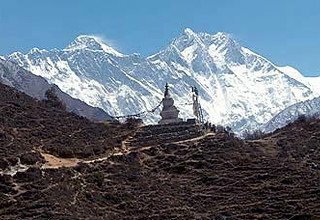 This trek takes us into the Khumbu Valley in the Everest region, the homeland of the Sherpas surrounded by the world’s highest peaks. Spring and autumn are the most popular times for this trek as the weather is generally dry making the walking conditions good. 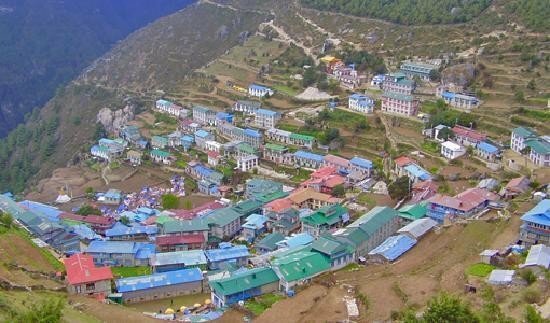 It is a trek from here to the Sherpa capital of Namche Bazaar, on a walking trail which has been beautifully quiet for decades. Starting out at a modest altitude, this gem of a short Nepal trek accumulates lots of up and down as it heads eastwards across the 'grain' of the country, crossing a succession of rivers and forested ridges. With its picturesque terraced fields, charming villages, colorful monasteries and friendly people, this trekking holiday provides an unforgettable taste of Nepal's unspoiled Himalayan foothills. 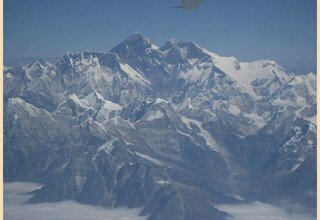 Finally reaching the Khumbu Valley, we are rewarded by inspiring views of snow-capped peaks such as Ama Dablam, Lhotse and Mount Everest itself. 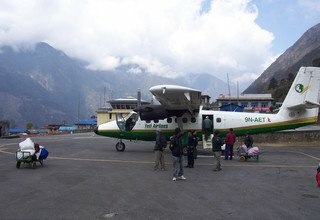 The memorable flight back to Kathmandu from Lukla is a great way to end this classic experience. 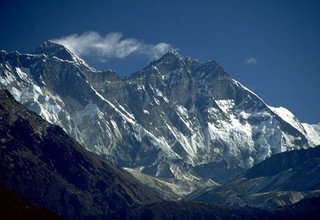 This is the perfect trekking holiday for those who want to experience a quieter side of Nepal at lower altitudes while still offering exceptional views of Everest. 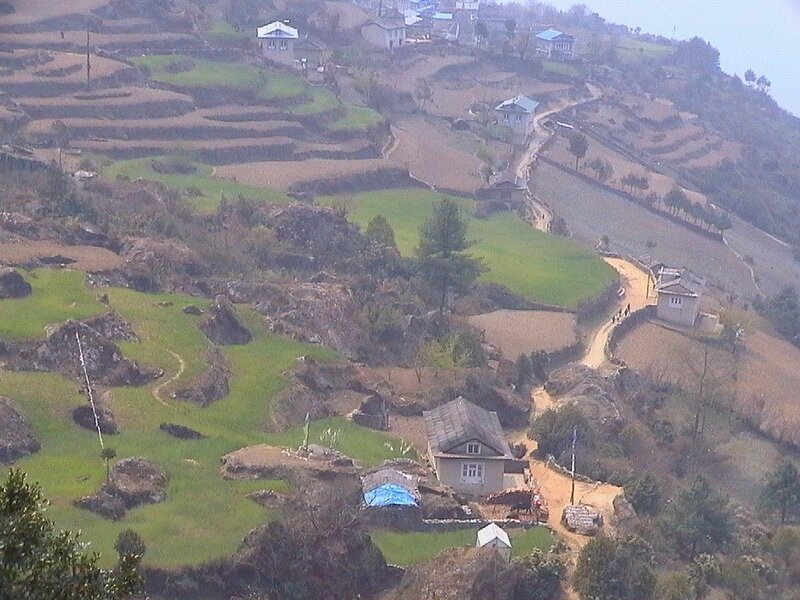 This Nepal trekking holiday follows well established walking trails throughout. 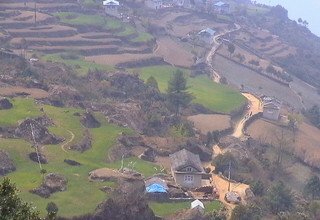 Traveling east across the 'grain' of the country means that you will have a fair amount of accumulated ascent and descent on the holiday and there are several high passes to trek across en route to the Dudh Kosi. 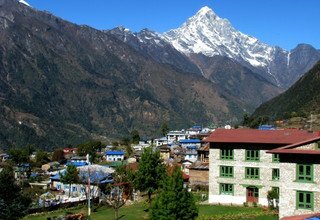 The actual high point of the trip is the Everest View Hotel above Namche at 3800m. 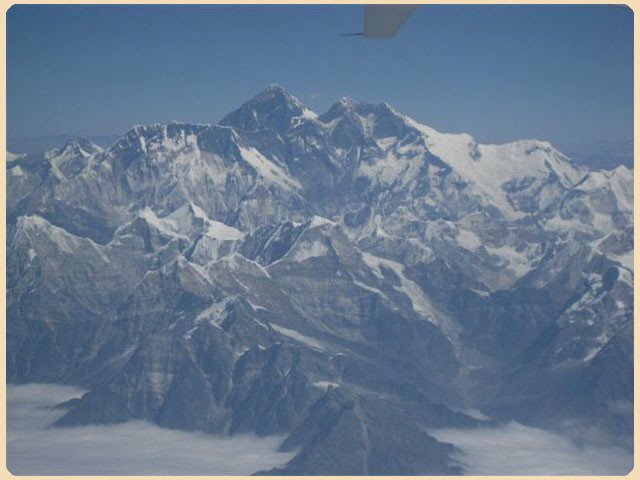 By Himalayan standards these are not excessively high altitudes and the gradual increase in sleeping altitude throughout the trip means you are unlikely to experience any problem with acclimatization. Because of the relatively modest altitudes gained on the trip we have graded this trekking holiday as moderate (at the highest level of this grade). 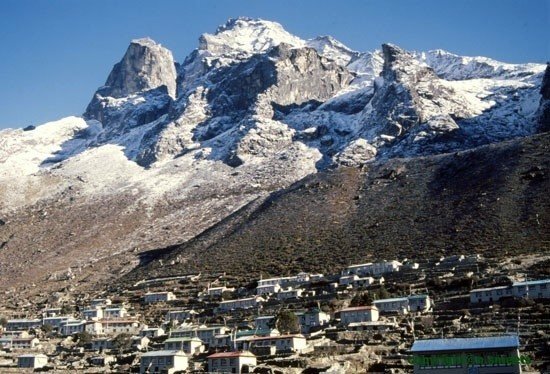 However, there are several long days and some steep ascents and you should take this carefully into account when assessing the suitability of this trip for you. This is a challenging trek for its grade but should be within the capabilities of all regular hikers and hill-walkers. Day 6: Rest day in Tengboche. 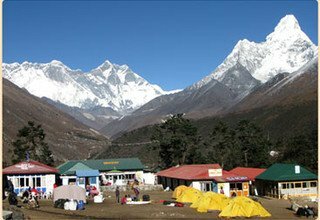 In this day, we can hike to Pangboche Village which takes about 4 hours round trip. 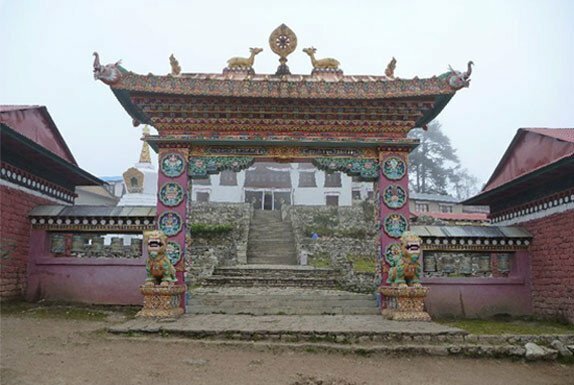 We can also visit the monastery in Pangboche which is situated just above the village. 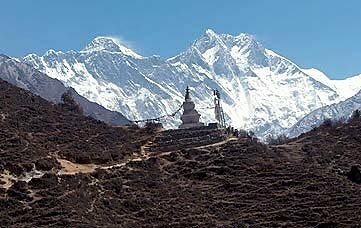 Or Option includes just hike to surrounding hills in Tengboche for the spectacular views of high mountains. We can see Mt. Everest, Mt. Lhotse, Mt. Nuptse, Mt. 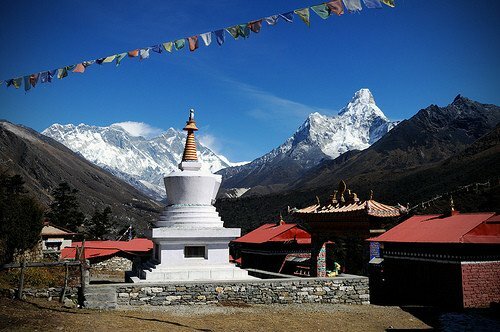 Ama Dablam, Tawache, Cholatse, Thamserku, Khwande Range, Kangtega, holy Khumbila and other snow-capped mountains. Overnight in Lodge. In the morning after breakfast, we leave the village and descend gentle slopes. Then, the trail becomes a steep descents through the forest until reaching the Dudh Kosi River and cross by a bridge. It takes about 1 and half hours. After crossing the bridge, we keep ascending through a forest and arrive in the village name is called Kyangjuma. 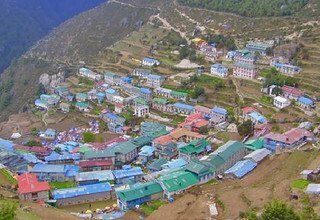 Now we walk the level trail the mountain flank until reaching the large settlement of Namche Bazzar which takes about 2 hours. We will have our lunch there. After Lunch, we continue the trail keep a steep descending until reaching Monjo. The trail descends through pine trees and cross the high suspension bridge over the Dudh Kosi River. Then our trail continues River side and we arrive in Monjo and it takes about 2 and half hours. Overnight in Lodge. 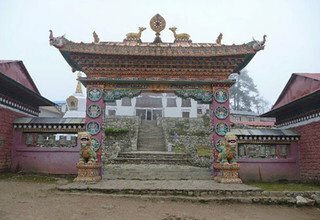 In the morning, we leave the Monjo and We continue our trek until reaching Phakding with crossing several bridges about 1 and half hours walk. We will have our lunch there. After lunch our trail continues until reaching Lukla with passing up and down which takes about 2 hours. Overnight in Lodge. Early in the morning fly back to Kathmandu which takes approximately 45 minutes. Transfer to Hotel. Refresh and relax. Afternoon, half day sightseeing and free for shopping. NOTE: In case of emergency during the trip, Helicopter will be arranged by Swiss Family Treks & Expedition GmbH . The charges must be paid by clients themselves. * 7 nights lodge to lodge accommodation in the mountain. 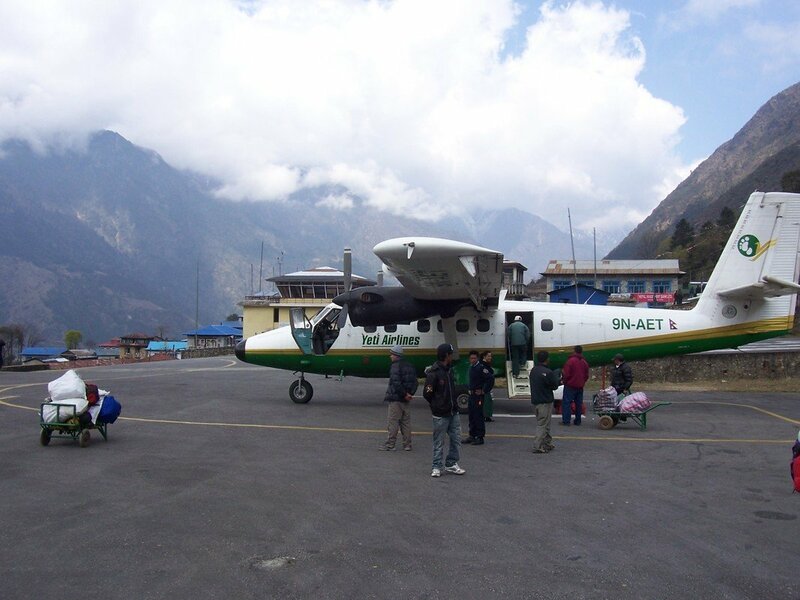 * Disembarkation Airport Tax in Nepal. * Itemsand expenses of personal nature.